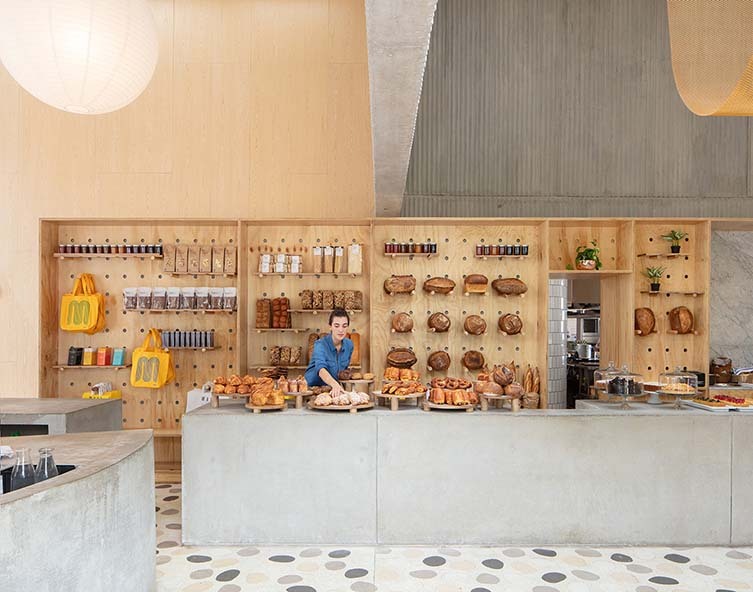 Masa, the artisanal bakery and café from siblings Silvana and Mariana Villegas, is dropping jaws the world over thanks to having enlisted the expertise of New York-based Studio Cadena for their second outpost in Bogotá; creating what might be one of the most handsome and inspired neighbourhood hangouts you’ll ever seen. 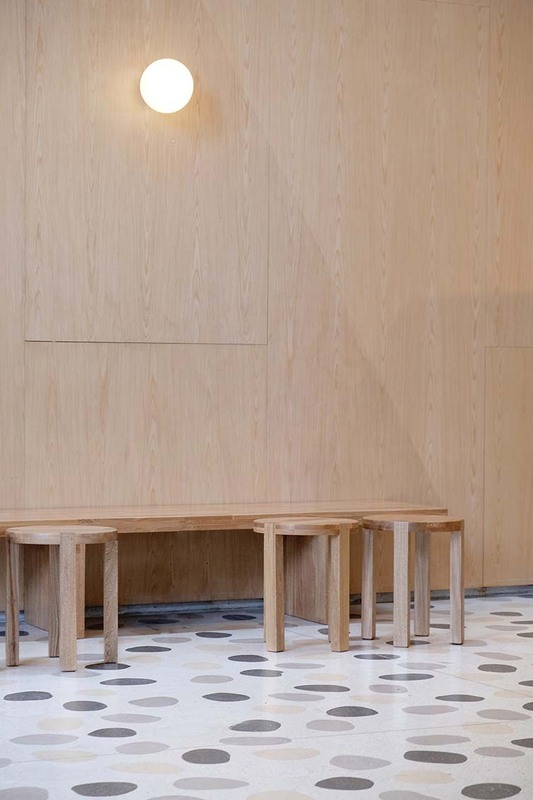 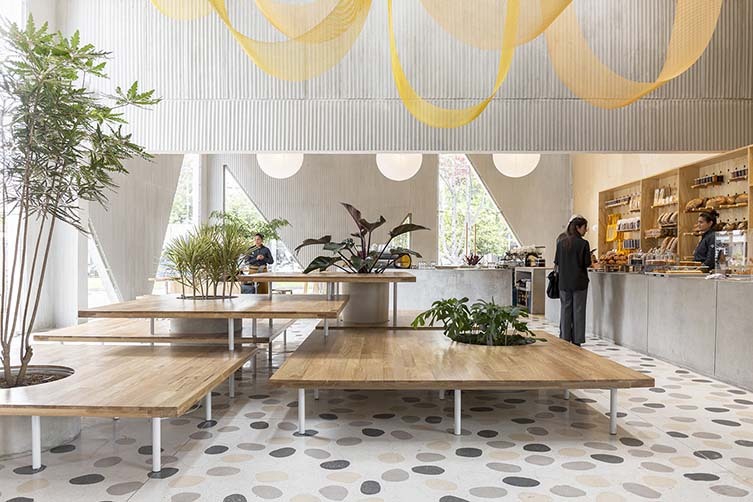 “In any space in the restaurant you might hear or smell things that give a sense of the adjacent spaces, but it isn’t completely open,” explains Studio Cadena founder and principal Benjamin Cadena of Masa’s series of interconnected spaces, allowing diners to move freely whilst distinct sectors are fragmented for intimacy. 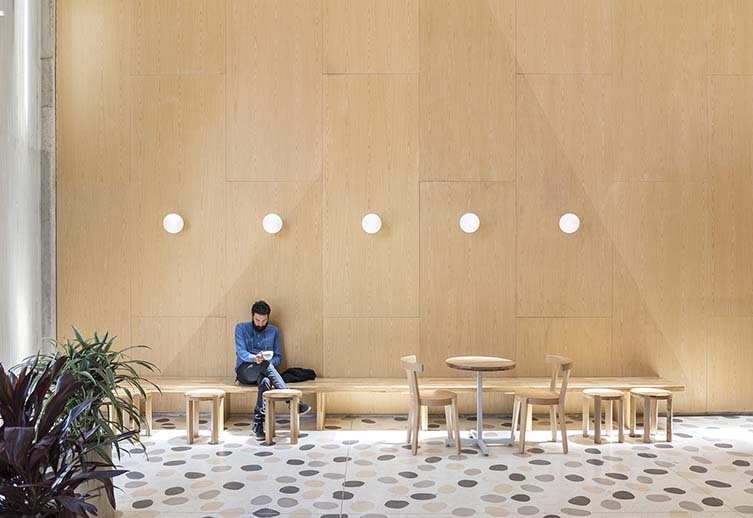 “The design defines distinct spatial volumes yet allows you to move through them with the freedom of an open plan.” The result is a vast, photogenic space that never succumbs to the empty nor cold feel that spaces of these dimensions so easily can. 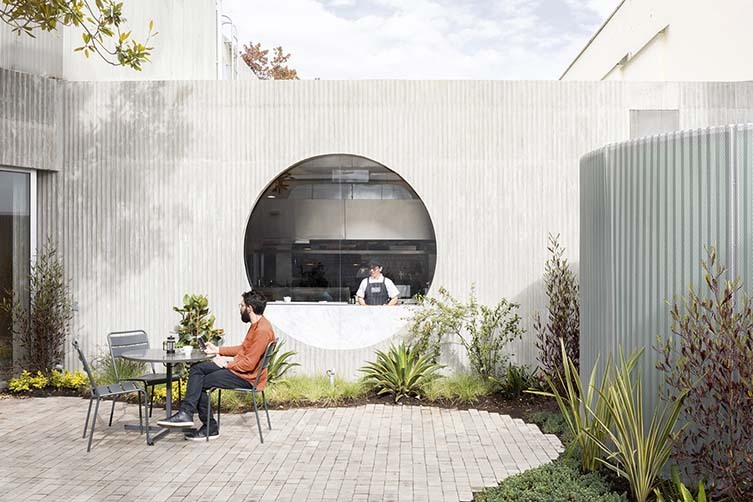 Within the 7,500­ square ­foot space sits a café and bakery, a dining area, and separate retail space—whilst an outdoor patio provides al fresco seating; connecting the public spaces to the kitchen at the rear. 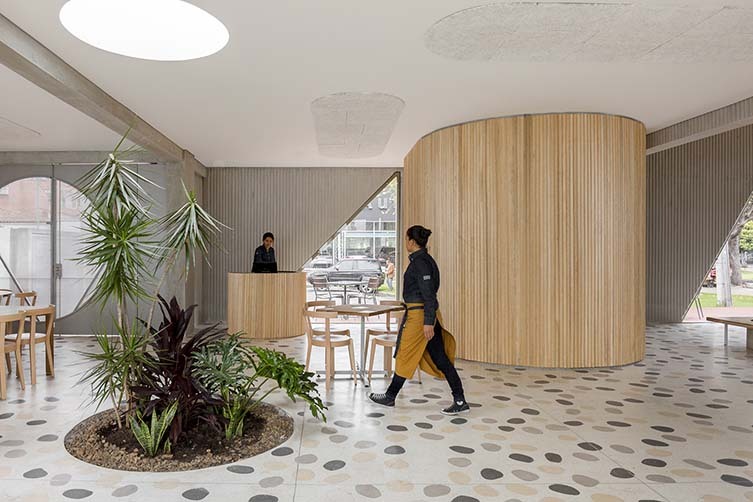 A long concrete bar and multi­-tiered seating platform at the entrance serve to break up the flow of the playful space, which Studio Cadena have filled with sculptural lighting and furniture designed in-house; complementing them with typical Bogotá elements such as terrazzo. 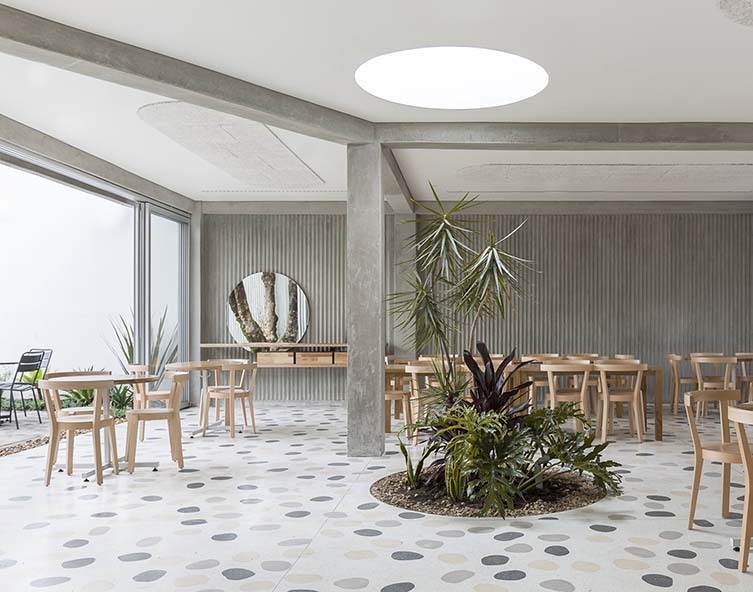 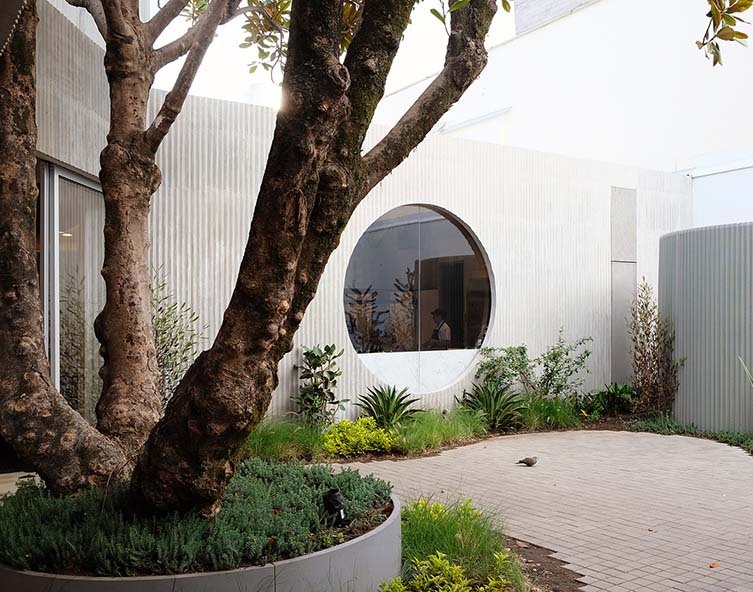 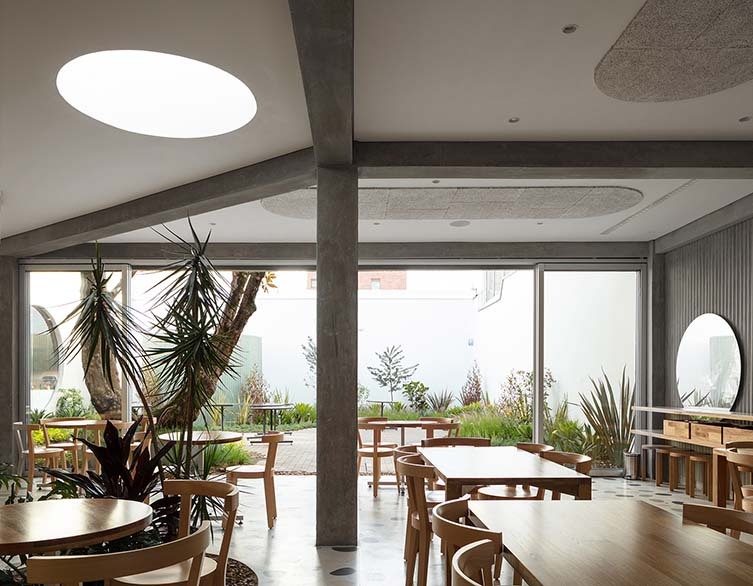 An indoor-­outdoor aesthetic runs throughout, from long communal wooden tables with large circular cutouts for plants and trees, to lashings of natural light and a sizeable window that looks into the garden from the kitchen. 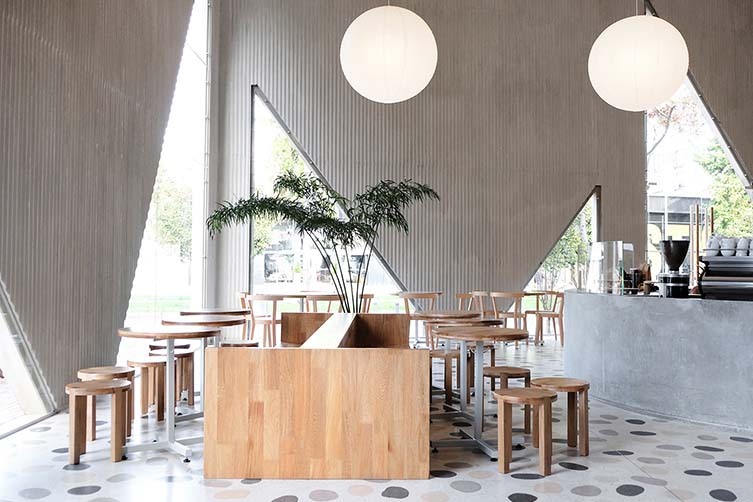 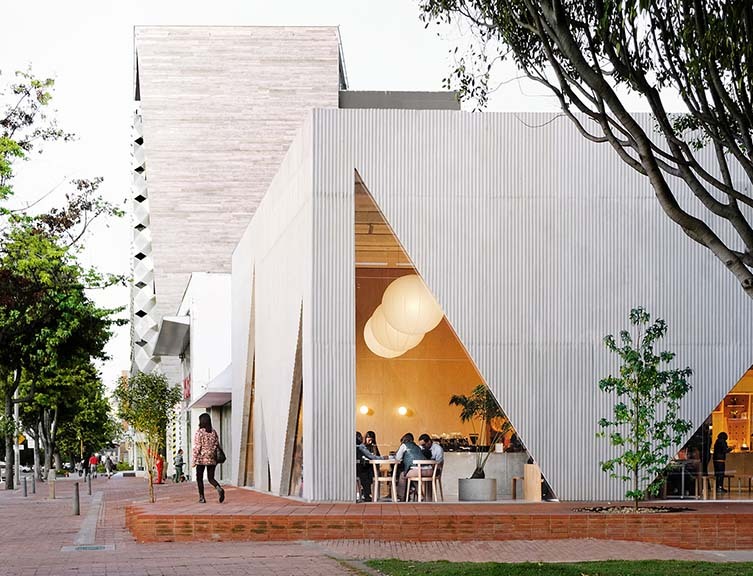 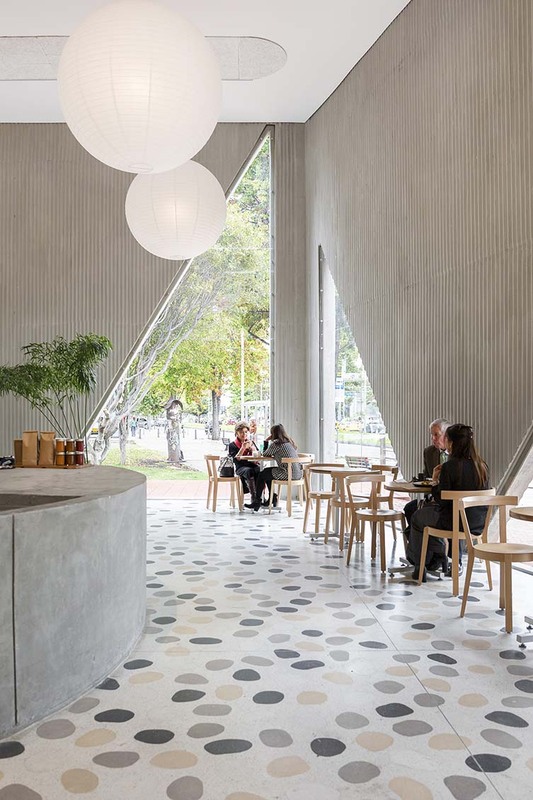 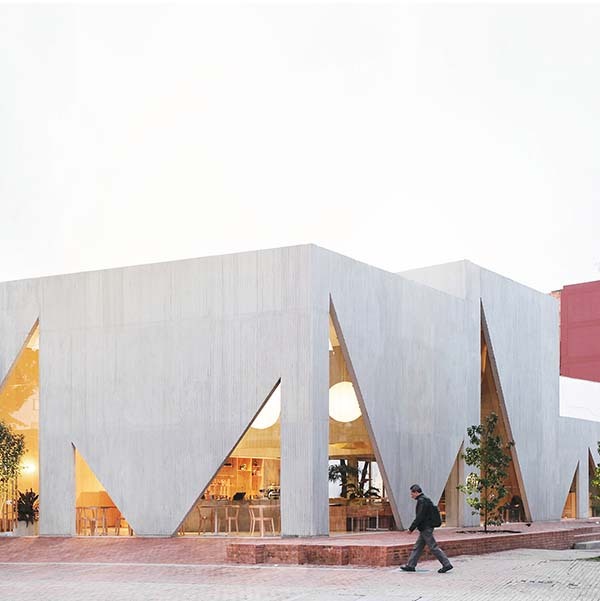 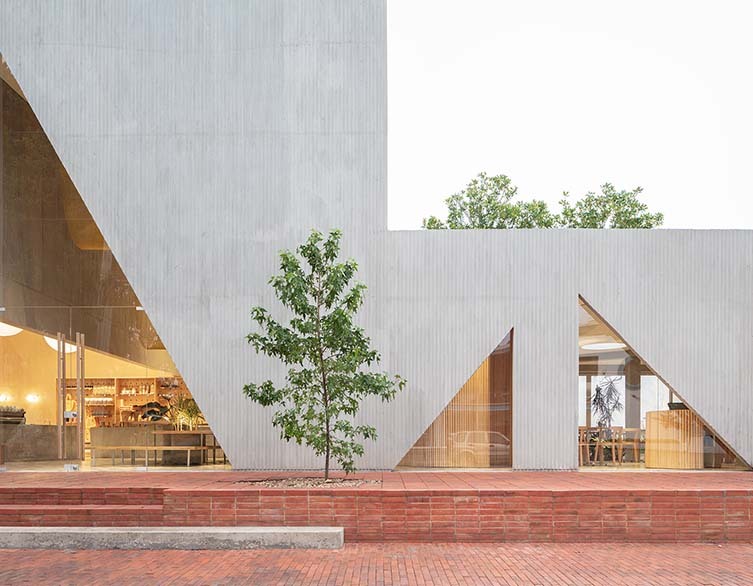 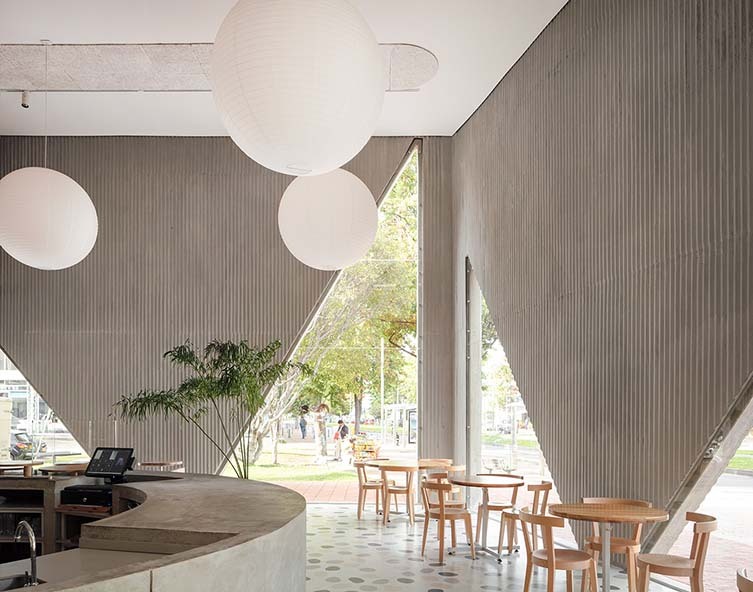 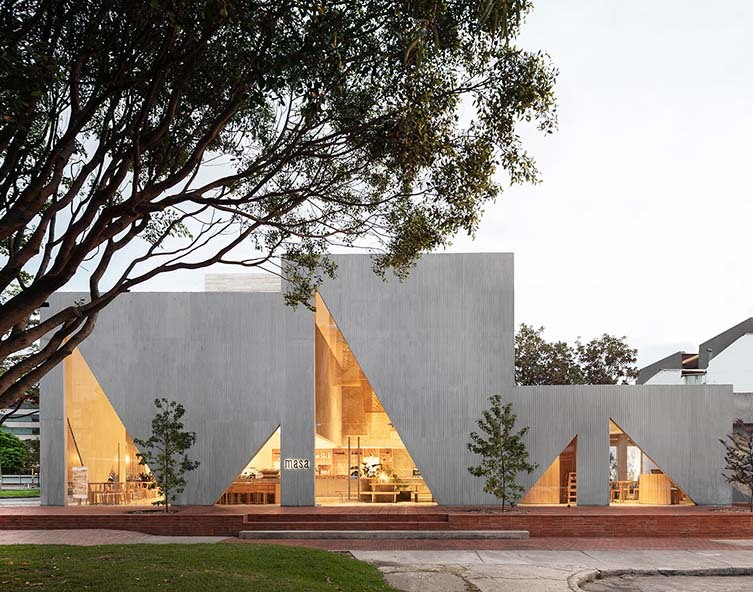 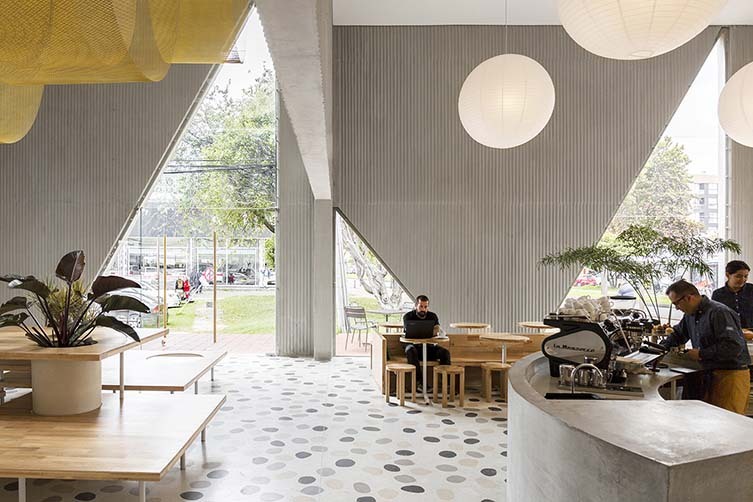 Looking in from the outside is just as impressive, too, triangular cutout windows dominate the café’s façade, revealing the beauty that lies within, whilst luring customers off the street to admire the surrounds over breakfast, coffee, lunch or dinner—the sisters and Cadena nailing the desire to create environments that embody a commitment to quality and identity. 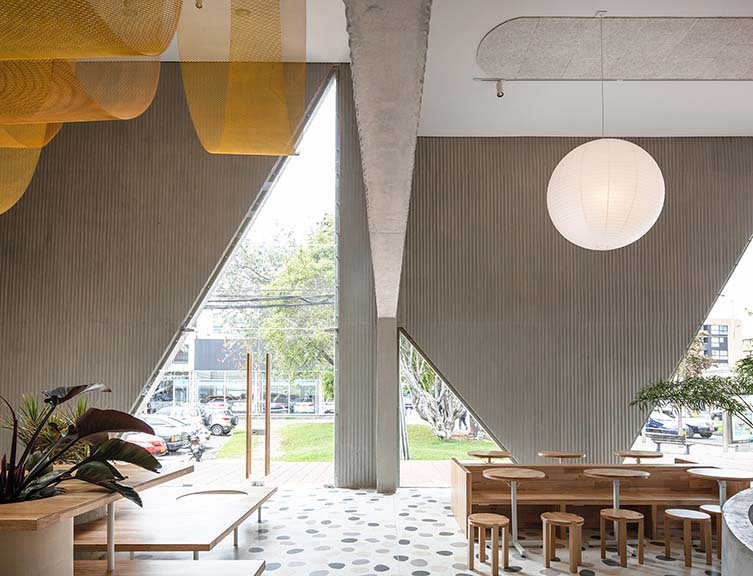 A calm respite from Colombia’s oft-chaotic high-altitude capital, Masa‘s latest is one of the city’s greatest. 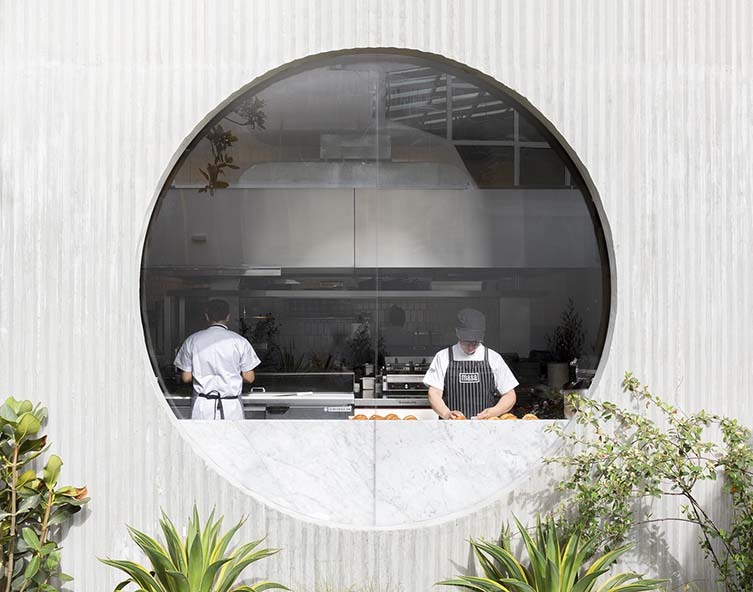 A fine, fine piece of work.